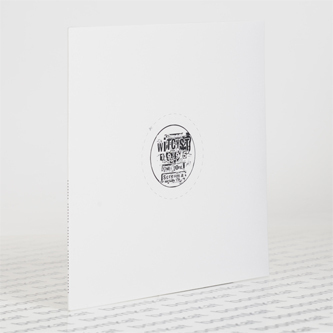 **Edition of 300 in DIY jacket** A proper racket from prolific New Zealander Michael Veet Ruiliude a.k.a. Witcyst. Just like his lady-shave middle-name-sake (Veet), this LP's A-side, 'Screuma' performs equally effective as a hair removal project, and even goes a few layers deeper to scrape your innards and feed you back the slop in a ferocious feedback system of Human Centipede-like voracity. On the B-side's 'Chilli Song' he does blown-out distorto-pop in the finest Kiwi tradition, sustaining sweltering harmonic fuzz around obliterated lyrics, getting progressively more f**ked as the song stews in its own noisy lushness. Witcyst's stuff is generally hard to find outside his homeland, usually available on local labels such as Root Don Lonie For Cash, or even self-released - so don't sleep on this one if yr into The Dead C, Gate, Sonic Youth.